This is a surgical error/sepsis misdiagnosis case filed against Johns Hopkins after complications following an ERCP. This case is the 416th medical malpractice case filed in Maryland in 2016 and was filed in Health Claims Arbitration on August 22, 2016. A 61-year-old woman has an endoscopic retrograde cholangiopancreatography (ERCP) done by a gastroenterologist and a gastroenterology fellow at Johns Hopkins Hospital. Postoperatively, she does not do well. She complains of abdominal pain. She is admitted to Johns Hopkins for concerns of post-ERCP pancreatitis. An abdominal x-ray reveals a possible small amount of free air, and this is discussed with her doctor the same day. The doctor does not request additional imaging studies. Pain medication is administered, but she is never examined by the doctors who performed the ERCP. Over the course of several days, the plaintiff's pain is rated between an 8-10/10. She is discharged with a prescription for pain control. A registered nurse called her two days after discharged to ask her about her hospital stay. At this time, the woman tells her that she is confused about her medications and unable to remember her husband's phone number to call for help. She admits that she has been in a state of confusion since she returned home from the hospital. However, the RN on the phone does not recommend any treatment. Another phone call is made the next day, by a different RN, to the plaintiff. This time, her husband answers, and reports that his wife is still confused and was still taking the pain medication four times a day due to abdominal pain and nausea. A follow-up appointment with her primary care physician is confirmed, for nine days later. The next day, the woman is transported via ambulance to Schuylkill Medical Center due to a change in her mental status. At intake, she is noted to be sleepy, lethargic, nauseated, and with poor oral intake. She is transferred to Lehigh Valley Hospital the same day, where a CT scan and work up is consistent with sepsis, secondary to perforated duodenum with extensive retroperitoneal fluid collection. Extensive bowel reconstructive surgery is required. Plaintiff alleges that this was a result of the negligence of the doctors during her initial ERCP at Johns Hopkins Hospital and that she will continue to suffer pain and permanent injuries to her gastrointestinal system. Specifically, she had to have an exploratory laparotomy to correct the bowel perforation, drainage of retroperitoneal abscess, creation of a retro-colic retro-gastric gastrojejunostomy, placement of a feeding tube, and a PICC line for nine months. She also had to endure tube feedings until the tube was removed as she was unable to eat or drink for almost three months. She now has an enhanced risk of adhesions, abdominal pain, intestinal obstructions, and other digestive disorders as a result. The last ERCP verdict in Baltimore City was a Miller & Zois verdict April 2016. Our client was awarded $1.53 million for an unnecessary ERCP. One of the next great mass torts may involve pancreatitis from Viberzi which is a treatment for IBS that has been linked to pancreatitis. A bowel perforation is just what it sounds like. It is a hole in the intestine. Bowel perforations occurring an ERCP do not, by themselves, show that the surgeon fell below the applicable standard of care. However, bowel perforations are among the deadliest potential complications of an ERCP. A doctor needs to identify and resolve the perforated bowel. Like the case we recently tried, the key to the case is whether the doctor's care of the patient fell below the standard of care not to identify the problem either during or after surgery until it was too late for permanent injury. Have you or someone you love suffered unnecessarily as the result of a mistake by a hospital, doctor or other health care provider. If so, we can help you. You are entitled to justice and compensation for the harm that has been done. 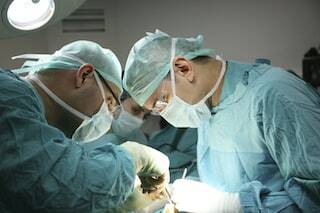 We have a very long history of results in medical malpractice cases in Maryland, earning large verdicts and settlements. Call today to speak to a sympathetic medical malpractice lawyer at 800-553-8082. You can also free, no obligation online case review. This is an April 2017 lawsuit in Howard County involving allegations of an unnecessary ERCP.